How many visits do you make to IMDb to check the schedule for the next episode? If it is just one Game of Thrones, then it’s okay. Though, if it’s a roster with sci-fi westerns, thrillers, and political dramas, then I must admire your vigor. It is getting difficult to track your favorites with the sheer number of TV shows running today. How far into a series are you? What other shows can you watch when your favorite ones take a break? Next Episode solves the two problems and a few more as it helps you stay on top of your entertainment. The site has been keeping track since 2005 but it may have escaped your radar. 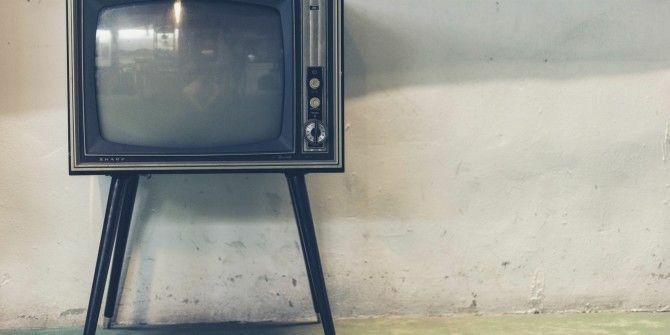 With exciting streaming options 5 Ways to Find Good Movies or TV Shows to Watch Next on Netflix 5 Ways to Find Good Movies or TV Shows to Watch Next on Netflix Netflix knows exactly what you want to watch, but its recommendations section isn't always helpful. Get fantastic recommendations with these apps and sites on what to watch next. Read More releasing every other day it is a good time as any to revisit the website and try the mobile apps for iOS and Android. Next Episode keeps track of all your favorite TV shows with the help of a watchlist. The shows added to the watchlist are tracked and the upcoming episodes are displayed in a calendar on the right and on a separate calendar page. Adding a show to the watchlist is a quick one-two job of selecting from a search box and clicking a green button to seed the watchlist. It took me five minutes to create my watchlist with 25 of my favorite shows. You might like the informative page for each show that shows a summary, the trailer, popularity ratings, episodes guides, and a summary of the upcoming episode. You also get a few recommendations of other shows to watch based on your watchlist. Next Episode has a Premium feature which allows you to add and keep track of all your movies and other rich details. Some of the features (e.g. the best upcoming TV shows) can keep the TV fanatics on the couch. The detail oriented will plonk for the option to export the TV Calendar to iCal and Google Calendar. Also, look into the Time Spent feature which is a barometer for anyone’s television addiction. The app is not the first television and entertainment tracker 5 Sites to Discover New TV Shows You Might Have Missed Out On 5 Sites to Discover New TV Shows You Might Have Missed Out On There's an overwhelming amount of entertainment to keep up with these days - whether in the form of books, movies, music or TV shows. And there's probably a lot of shows we're missing out on,... Read More on the market. But it looks like a complete one. Give it a spin. Are the free features on Next Episode good enough? How do you keep track of your favorite TV shows?